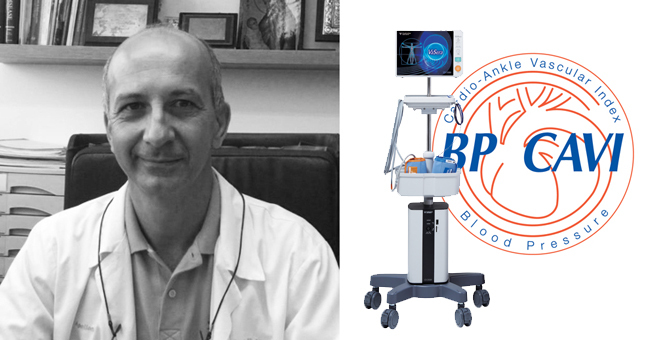 Attikouris Medical Division is pleased to announce that Dr. Stelios Hadjistylis operating at Apollonion Private Hospital have selected the VaSera 2000 Vascular Screening Device for cardiovascular examinations of their patients in Cyprus. The VaSera 2000 is the only and most advanced vascular screening devices in the world. This screens patient blood vessels for signs of arteriosclerosis directly from doctors office. Attikouris Medical Division provides state-of-the-art medical technology in Cyprus that improves diagnosis and medical outcomes. We are committed to ensuring that the best medical equipment is used by Cypriot doctors and hospitals, for the benefit of all Cypriots. If you are a Cypriot doctor or clinic, or are a patient interested in cardiovascular diagnosis, please visit the Fukuda Denshi website section on Arteriosclerosis, where you can learn more about how to diagnose and understand this heart condition. As always, please do not hesitate to contact us for more information.